Come spend your vacation on our private beach. 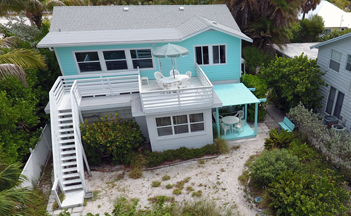 To reserve your Island Paradise vacation, please call (941)778-3143 or email judyd.adams@gmail.com. We look forward to hearing from you! Owners - Jim & Judy Adams. 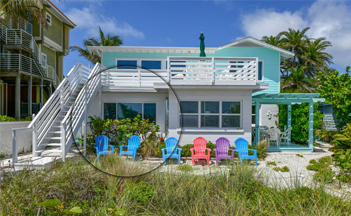 Located directly on Anna Maria Island's most beautiful gulf beach where the spectacular sunsets are legendary. You will love our convenient location. Just a short stroll to fishing piers, quaint shops, cafes, small grocery, post office, and casual dining. Our places feature a choice of one, two, or three bedrooms with lovely furnished interiors and comfy home touches in a tropical setting. 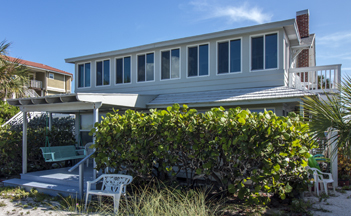 For your enjoyment the apartments have spacious sundecks, private patio's or enclosed porches. They are pristine, well maintained and fully-equipped. We are island owners and live on the properties. Whether you stay a few nights or a season you will feel right at home in our special hideaways. Most of our renters are repeat guests. Come relax by the soothing surf on our sandy beach in a unique environment. 4 private beach-front rental apartments located on the Gulf-side of Anna Maria Island, Florida. NEWLY REMODELED 1 bedroom apartment directly on the Gulf. 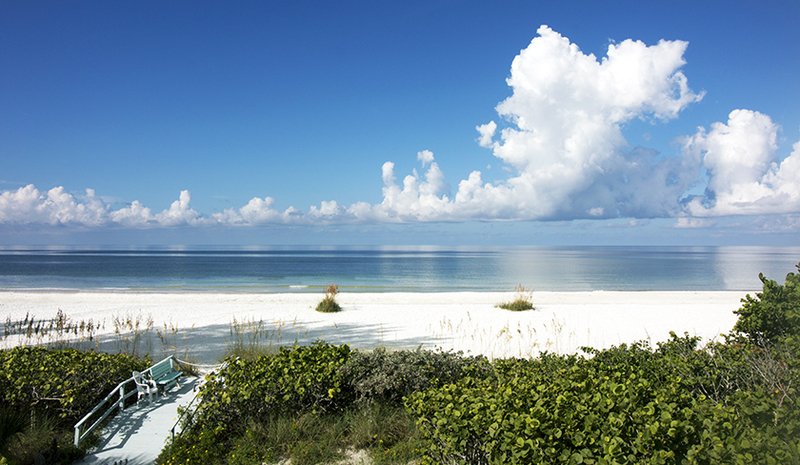 2 bedroom apartment with a picnic deck on the Gulf. Spacious 3 bedroom apartment with private balcony on the Gulf. 2 bedroom apartment with spacious veranda on the Gulf. Website Designed by Matt Adams.